2. Before sending out care texts, it is recommended that you add a cell phone number that will receive an alert (as a text) when someone responds to a care text. 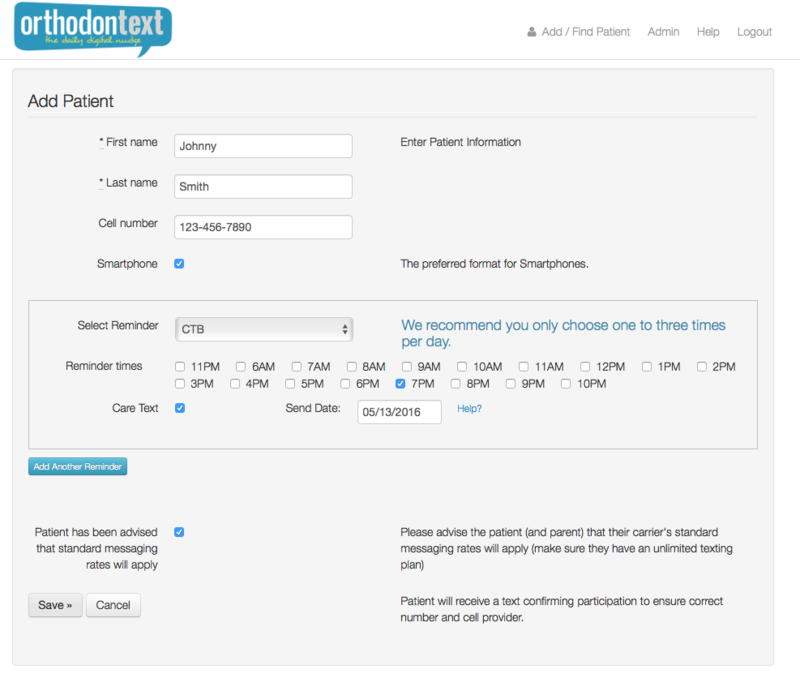 Text responses from patients are sent to an email address and emails are usually not checked as often as texts. 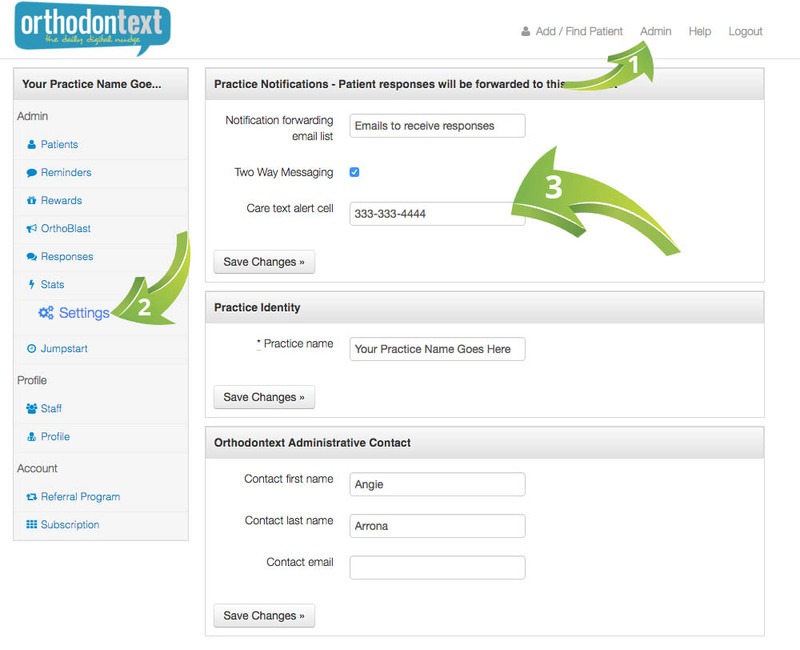 Because a care text response could be more important than a response requesting more elastics, and the patient may be expecting a response right away, you can receive a text alerting you to check your email. 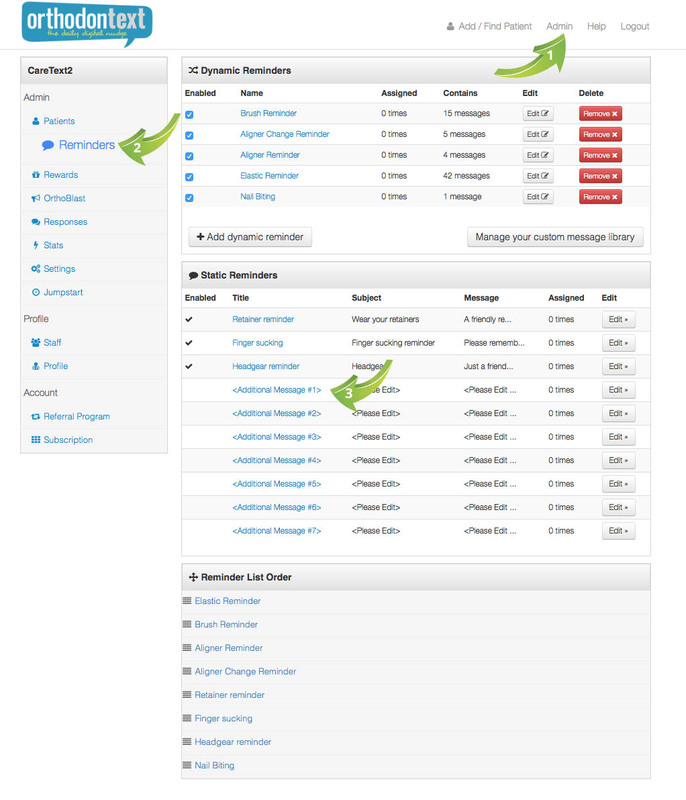 All you need to do is add a cell phone number in the "Notifications" area of the "Settings" section as shown below. 6. 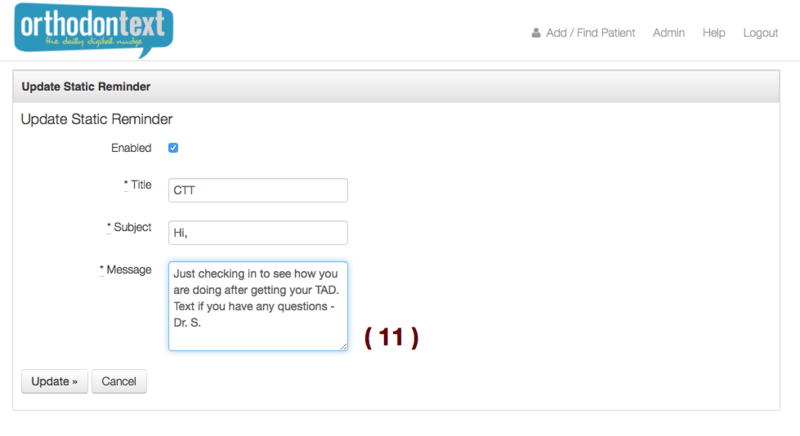 Check the Enabled box and fill in the Title, Subject & Message as shown below and click "Update". A couple sample care texts are provided below. 7. Add more care texts by following the same steps as above. 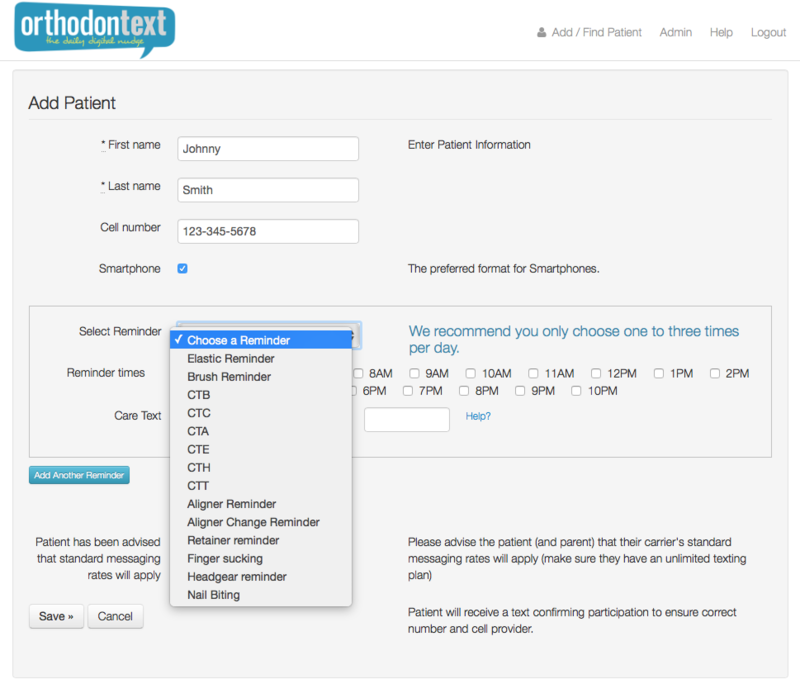 Examples are CTA (Care Text Aligners), CTE (Care Text Expander), CTC (Care Text Carriere), CTH (Care Text Herbst), CTT (Care Text Tad). We recommend using acronyms because if patients sign themselves up through a link on your practice website, they will see those acronyms when selecting their reminder. 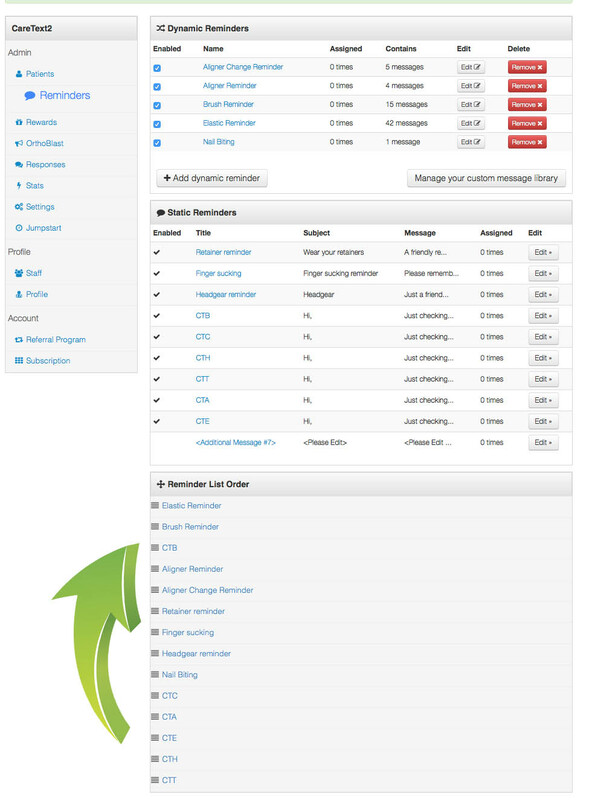 You can change the order of how the reminders appear in the drop-down list, by dragging them to the position you desire. See below. 9. When you do a procedure that you would like to send a care text for, the assistant can say to the patient and parent, "Dr. __ would like to check on you in a few days, would you mind?" Then have them type in their name and phone number. It is important to have the patient type in their own name because it gives the patient "buy-in" and they are "opting in". 10. 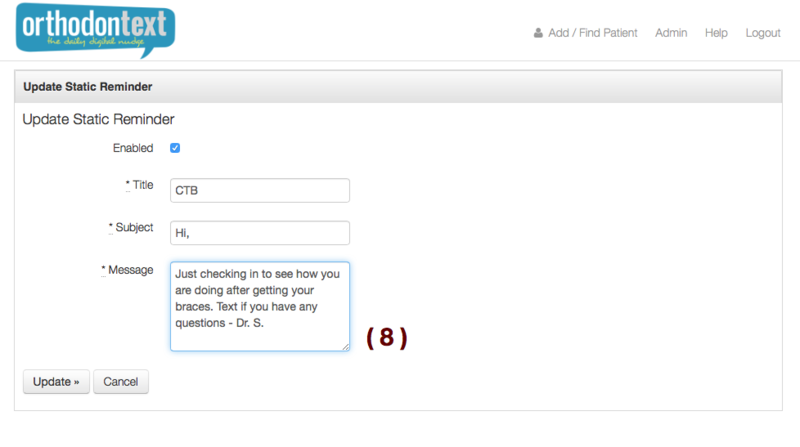 When adding a patient select, the Care Text you wish to send by clicking on the drop-down menu "Select Reminder"
11. 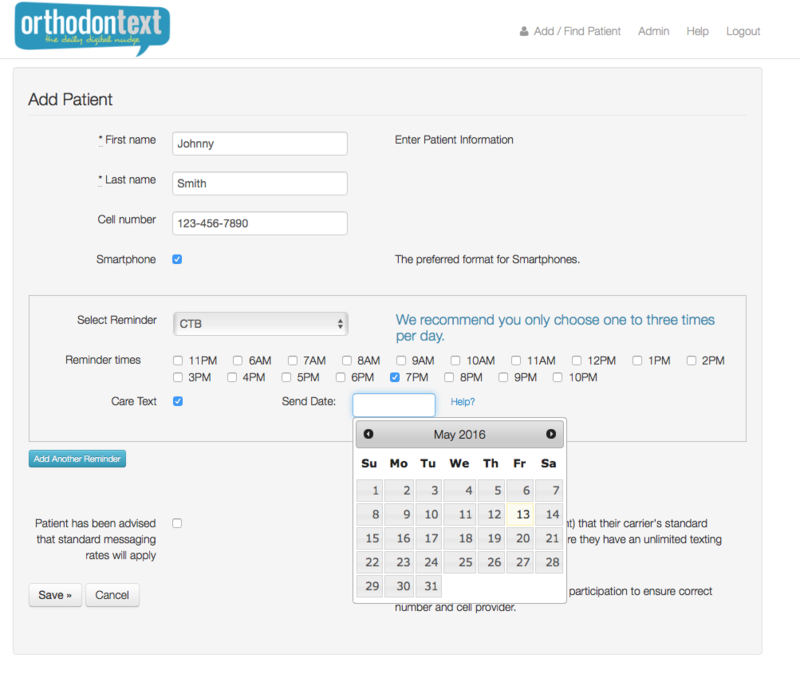 Click on "Care Text" and select the date and time you would like the text to be sent.